Siddesh Is One Step Away From Leading A Healthy Life. 15-year-old Siddesh should be in school and be experiencing the troubles that come along with being a high school student. This once bubbly teenager was diagnosed with leukemia in 2016. His life has changed drastically in the past year. 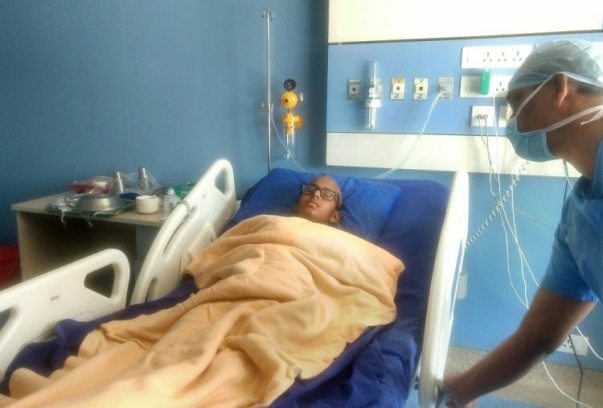 He has been in the hospital for the last six months and has dropped out of school. Siddesh’s father Ravindar Dalvi, is a sweeper at a BMC school in Pune. Ravindar has two sons- Siddesh is the elder son. The family stays at a small rented house in Pune. Ravindar works in the morning, and then heads to the hospital in the evening to be with his son. Back in 2016, Siddesh had a mild fever. On consultation, he was diagnosed with leukemia. 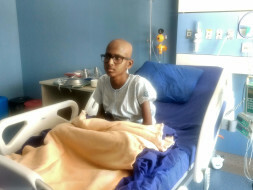 Siddesh was admitted in Tata Memorial Hospital- in Khargar, Mumbai, where he took chemotherapy. After a month of chemotherapy, doctors realized that his bone marrow was not responding to the treatment. The only option, they told Ravindar, was for a Bone Marrow Transplant. The waiting time at TMH Mumbai was 12 months. Ravindar started looking for other hospitals so that Siddesh could get treated faster. Siddesh’s uncle was staying in Pune at the time. He approached Sahyadri Hospitals and received an estimate of Rs 17 lakhs. The family was planning the move to Pune when the uncle got a heart attack and underwent a surgery. Siddesh couldn’t move to Pune after all. 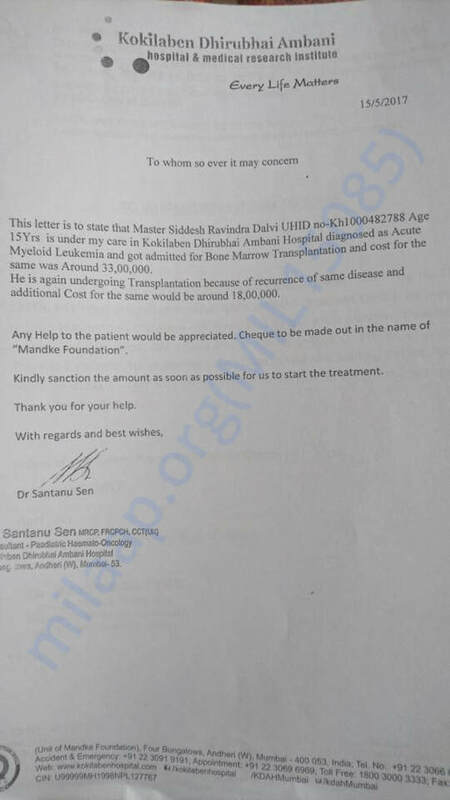 In November 2016, Ravindar heard about another hospital- Kokilaben in Mumbai, that provided an estimate of Rs 17 lakhs. Siddesh was admitted there and underwent a BMT on 23rd January 2017. At the end of the procedure, Ravindar was shocked to receive bills for Rs 34 lakhs- around double the estimated cost. A mere 4 days after he was discharged from the hospital, Siddesh’s white blood cell count began increasing. From a healthy level of 10,200- Siddesh’s count increased to over 34,000. Doctors now advised a stem cell transplant, using Siddesh’s brother’s stem cells. This procedure would cost them a further 3 lakhs. Ravindar has exhausted all his resources. He used his life savings, and even took out a loan to meet Siddesh’s medical expenses. He earns Rs 30,000 every month- but after loan deductions, gets only Rs 8000 in hand. He is desperate to save his son’s life- and has run out of all options. You are the only hope to save Siddesh. Siddesh is very close to living a healthy, happy life, and needs your support to get there. 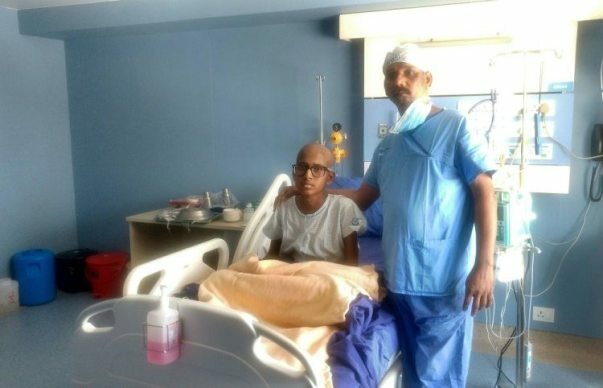 Siddhesh was admitted a second time and a repeat transplant done . After a prolonged post-transplant stay requiring blood and platelet support and multiple occasions, it was seen that his white cells are increasing again . It was found that his cancer has relapsed again. This is the second relapse in last 4 months. Considering the overall situation we have decided to go with aggressive therapy and only give supportive and palliative care now.